The ITTF Dream Building Program is the new umbrella branding of the social responsibility programs that the ITTF is involved in and brings together the Development Program “creating opportunities to dream”, Para Table Tennis “nothing can stop the dream” and Junior Table tennis “creating the dream pathway”..
After months of preparation, the ITTF Dream Building concept, along with the promotional video and website was launched by ITTF Marketing Division’s Kimberly KOH at the Annual General Meeting held in the “Goldsaal” of Westfalenhallen Convention Centre in Dortmund, Germany on Tuesday 27 March 2012. “The Dream Building campaign encompasses all that is “development” within the ITTF. We need more funds to service more areas and more communities and make table tennis an accessible activity to all members of our society and especially to those that have financial or physical challenges. I hope that the table tennis community and the corporate community will support this programme in big numbers”, said Adham SHARARA, ITTF President. “Supporters of the ITTF Dream Building Program will now be referred to as ITTF Dream Builders, because they literally help to build the ping pong dreams of many around the world,” explained Steve DAINTON, ITTF Marketing Director and creator of the ITTF Dream Building concept. Individuals will be able to donate at the website www.ittfdream.com/donate . Corporations are invited to partner the ITTF Dream Building program for their Corporate Social Responsibility (CSR) programs. Recognition levels will be commensurate with the level of support, and ranges from Bronze Dream Builders to Platinum Dream Builders. 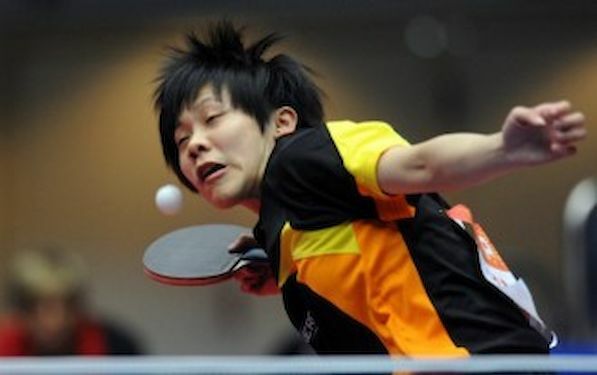 In addition, the ITTF announced plans to host a 2013 Fundraising Dinner at the 2013 World Table Tennis Championships in Paris. Seats at the dinner are available for purchase, with all proceeds going to the ITTF Dream Building program. Top Dream Builders will be presented with a commemorative plaque at the event. For more information on becoming an ITTF Dream Builder, please click here.